Written by 12/16/2008Share this story on Facebook! 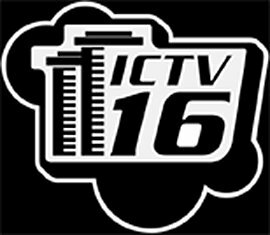 Ithaca College Television (ICTV) celebrated its 50th anniversary on October 18th, making it the oldest student-run college television station in the world. Nearly 200 students, faculty, and alumni celebrated this milestone achievement. The day’s events included a tailgate barbeque, tours of the television studios and facilities, a Bombers football game, and displays of ICTV video clips from each of the five decades. The celebration concluded with a gala dinner and a live 50th anniversary broadcast. “The 50th anniversary celebration was a great gift to every one of the people who attended, to the Park School, and to Ithaca College,” says Park School Dean Dianne Lynch. Nationally recognized for broadcasting excellence, ICTV reaches not only IC students but also 26,000 Tompkins County cable households with its community- and college-oriented programming. Earlier this fall at the Collegiate Broadcasters National Student Production competition, ICTV was recognized as the overall winner in 3 categories. The station won for "Best Website" for ICTV.org, "Best On-Air Promotions" for the ICTV sign-on, and for "Best Live Sports Production" for Bombers Football. The station was nominated as a finalist 10 times throughout the 12 television categories. The next highest school had only 4 nominations. See the station's website for its complete list of awards, as well as access to on-demand ICTV!